garden without feeling like you just finished a World's Strongest Man Competition. ★ PREVENT ALL LEAKS - Solid brass ends insure there are no leaks around the plastic fittings. We designed the mold to give you the best brass fittings available today. ★ INDESTRUCTIBLE DOUBLE LAYER LATEX CORE - You talked, we listened. Now able to expand to sky high water pressures with our new Latex Core Material. ★ 12 MONTH MANUFACTURERS WARRANTY for Manufacturing Defects, Contact Seller via Amazon for claims. CLICK ADD TO CART NOW! 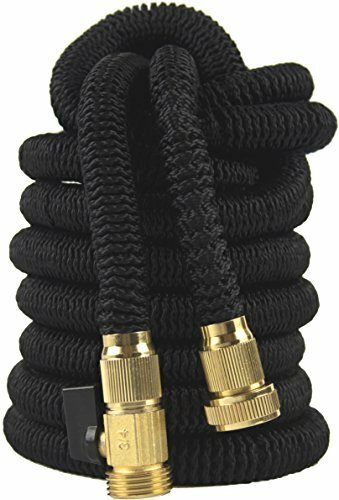 ★ LIGHTWEIGHT EXPANDABLE HOSE - Quit lugging around that heavy old water hose. The Phantom Expandable Hose will allow you to water the yard and garden without feeling like you just finished a World's Strongest Man Competition. View More In Knee Pads & Kneeling Cushions. If you have any questions about this product by Phantom, contact us by completing and submitting the form below. If you are looking for a specif part number, please include it with your message. Ezi – Knee 2-Pack, Kneeling Pad Heavy Duty Extra Thick Foam for Garden, Bath, Cleaning and Office. Give Your Knees a Break with This Ergonomic Mat.